Are you also facing a typical problem in your windows 10 PC , and that is facing a black screen with cursor. Here are some of the great fixes for this typical Problem. 1. Press CTRL + Alt+ Del key Together at Once. In next screen, Choose task manager. 3. Click on Run New Task. 4. Write Regedit in it. 5. 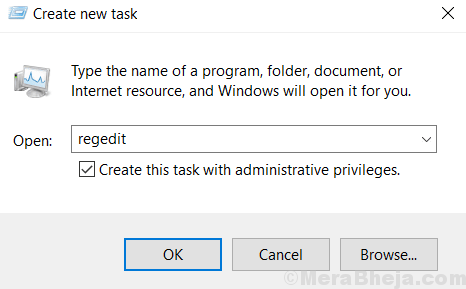 Check the Option saying Create this Task with Administrative Privilege. 7. Once YOU reach Winlogon, Locate Shell in the Right side. 8. Now, double click on shell to modify it. 9. Now, make sure that value data is explorer.exe. If its something else, change it to explorer.exe. 10. Press Ctrl + Alt + Delete key at same time. 11. Now, Click on power button located at bottom right. 1 – Press Ctrl+Alt+Del and Open Task manager. 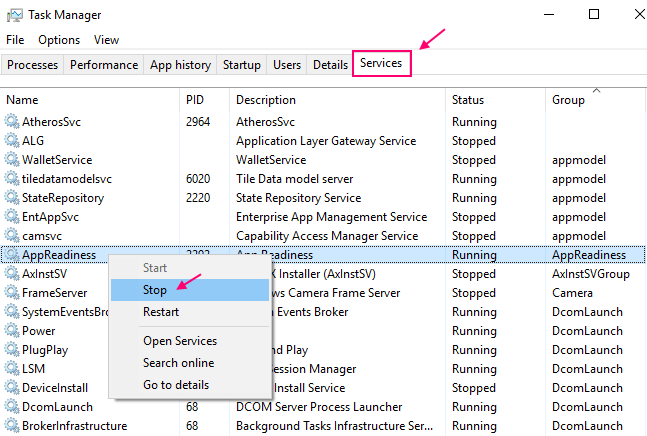 2 – Now, Navigate to Services tab. 3 – Find AppReadiness from the list. 4 – Select it and do a Right click on it and stop this service. 1 – Just take out the battery from the Laptop. 3 – Now, Put Back the battery into your Laptop again. 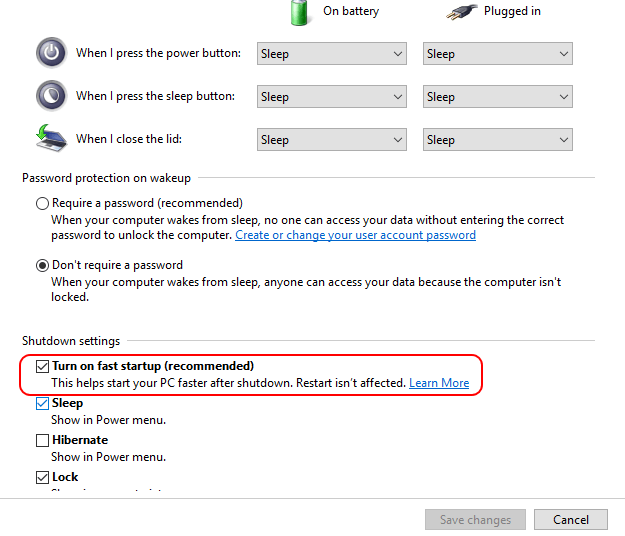 This will reset your BIOS and most probably will fix black screen with cursor problem on your Windows 10 PC. 1 – Press windows key + I to open settings. 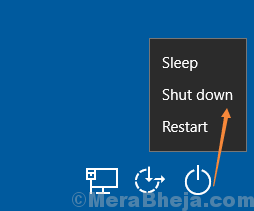 3 – Go to power & Sleep from the left menu. 4 – Click on Additional Power settings. 5 – Select Choose what the power buttons do from the left hand side of the window. 6 – Click on Change settings that are currently unavailable. 7 – Simply uncheck the checkbox saying “Turn on fast startup (recommended)”. 1 – Press Windows key + R to open run command box. 2 – Write devmgmt.msc in it and hit Enter. 3 – Now, Click on Display Adaptors to expand. 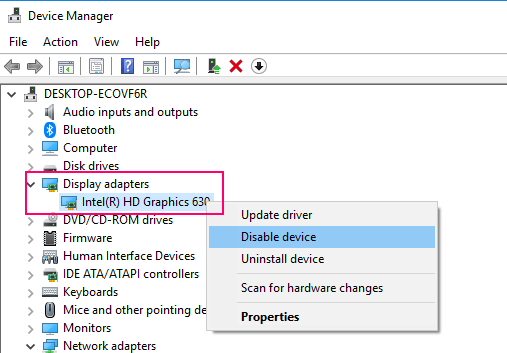 4 – Now, Disable the Integrated Graphics Card by doing a right click and clicking on Disable device.